This was my public declaration of priorities for December 2017. Here’s my current one: Now. I’m working with organizations that share a piece of this mission: Cambia Health Solutions, Hope for Henry, Atlas of Caregiving, and HopeLab. My dad has entered hospice care. BJ Miller’s words about what matters at the end of life – comfort, respect, love – ring in my head daily. For my dad it’s all about eggnog milkshakes and holding hands, at least for now. 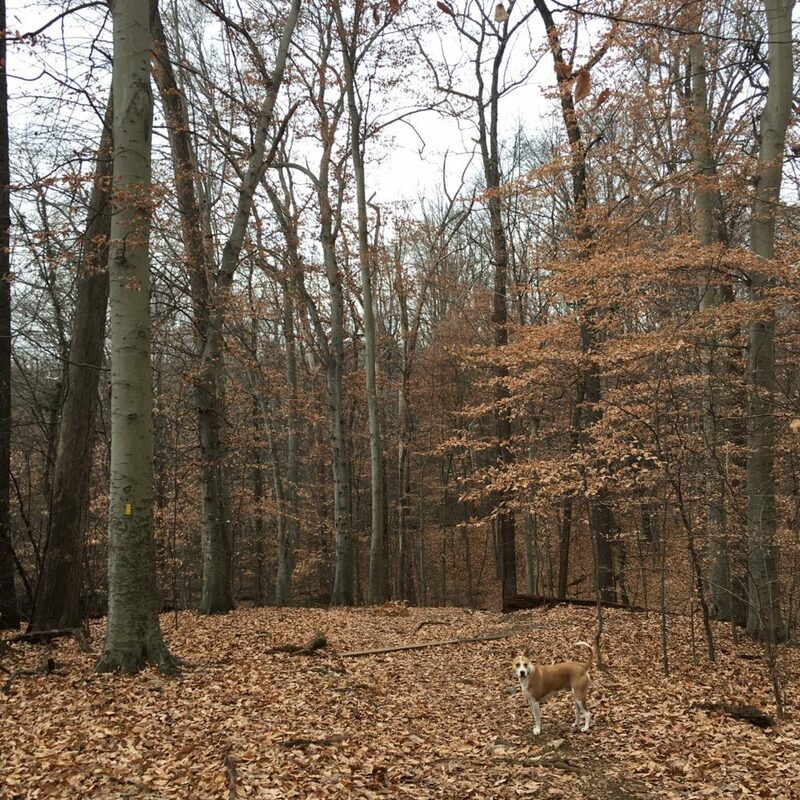 When I’m home I walk every day in the woods with our dog, Satch (in the image above). Past Now pages: November 2017; September 2017.